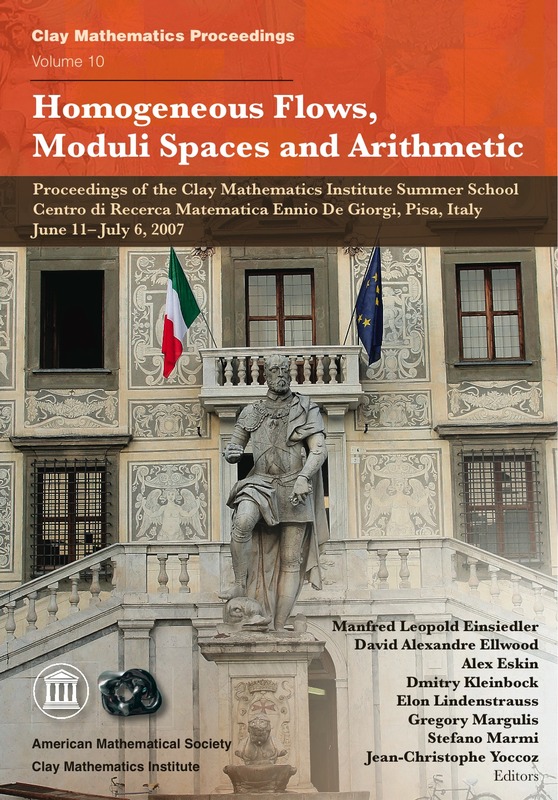 This book contains a wealth of material concerning two very active and interconnected directions of current research at the interface of dynamics, number theory and geometry. Examples of the dynamics considered are the action of subgroups of SL(n,R) on the space of unit volume lattices in Rn and the action of SL (2, R) or its subgroups on moduli spaces of flat structures with prescribed singularities on a surface of genus greater than or equal to 2. The text includes comprehensive introductions to the state-of-art in these important areas, and several surveys of more advanced topics, including complete proofs of many of the fundamental theorems on the subject. It is intended for graduate students and researchers wishing to study these fields either for their own sake or as tools to be applied in a variety of fields such as arithmetic, Diophantine approximations, billiards, etc. Unipotent flows: non-divergence, the classification of invariant measures, equidistribution, orbit closures. Actions of higher rank diagonalizable groups and their invariant measures, including entropy theory for such actions. Interval exchange maps and their connections to translation surfaces, ergodicity and mixing of the Teichmuller geodesic flow, dynamics of rational billiards. Application of homogeneous flows to arithmetic, including applications to the distribution of values of indefinite quadratic forms at intergral points, metric Diophantine approximation, simultaneous Diophantine approximations, counting of integral and rational points on homogeneous varieties. Eigenfuctions of the Laplacian, entropy of quantum limits, and arithmetic quantum unique ergodicity. Connections between equidistribution and automorphic forms and their L-functions.